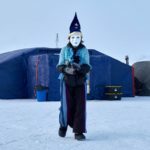 The Russians have reopened Longyearbyen on Spitsbergen, the biggest island in the Svalbard Archipelago, again as the gateway to Barneo Ice Camp. This comes after last year’s decision to shift the gateway to Franz Josef Land Archipelago due to the political issues between Norway and Russia during the 2016 season. At the beginning of this week an agreement was reached about the Barneo-2017 season between the Governor of Svalbard, Kjerstin Askholt, and the First Vice-President of the Association of Polar Explorers, Alexander Orlov. All polar programs will start from Longyearbyen, reported Irina Orlova. In the 2016 season, the presence of the Chechen Military, in particular, caused unforeseen problems. A Svalbard reporter “found a threat to national security” in Barneo’s conventional activities by reporting “Chechen special forces instructors landed on Svalbard.” One of Barneo’s organizers, Irina Orlova responded, “during the last 15 years we never, and I mean it, ever mislead the local authorities, and do not plan doing it in the future. 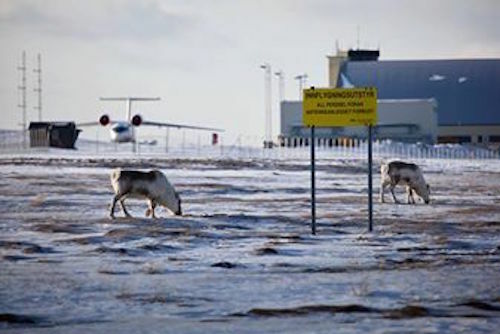 […] All our activities are under close control of the Longyear airport security service. […]” On these grounds, Irina said, the Norwegian authorities made the transportation rules much more rigorous. Therefore, it was decided to have no more Russian flights from Svalbard to Barneo in future. 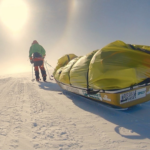 Barneo is a drifting ice base in the Arctic, which is annually established under the aegis of the Russian Geographical Society Expedition Center, “Polyus” Russian Association of Polar Explorers. It is a temporary Ice Camp, built by the Russians every March-April. 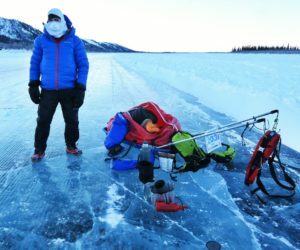 The camp is built on a suitable ice floe inside 89 degrees North. 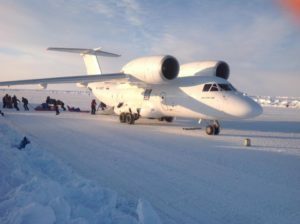 Primarily the ice floe should be suitable to build a runway of at least 1200m long for an Antonov-74 from Longyearbyen, Svalbard, to land. They, therefore, need a floe of at least 2km long and at least 40 meters away from the nearest open water (lead). 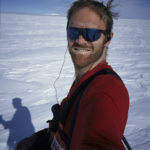 Barneo serves Last Degree skiers, marathon runners, scientists, divers, fly-ins to the Pole, and more. Barneo organizers reported, soon the two helicopters will fly from Krasnoyarsk to search for the ice on which the runway of Barneo will be built. Their experts told them that there are some large fields not far from the North Pole. Their thickness is about 2 meters. They will drift towards the Fram Strait and will soon be at the point the Russians need to start building the ice runway. The town of Longyearbyen is situated on the biggest Island of the Svalbard archipelago, Spitsbergen, inside the Arctic Circle, and under Norwegian rule. Svalbard had a total of 2,654 residents on January 1, 2016. The Geographic North Pole is at 90 degrees North. A degree of latitude is 110 km / 70 miles / 60 nautical miles. Is Facebook A Structural Threat To Free Society? 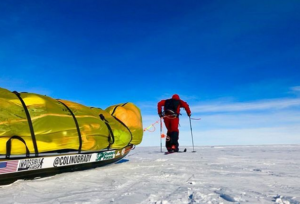 O’Brady’s Antarctic Crossing: Was It Really Unassisted?